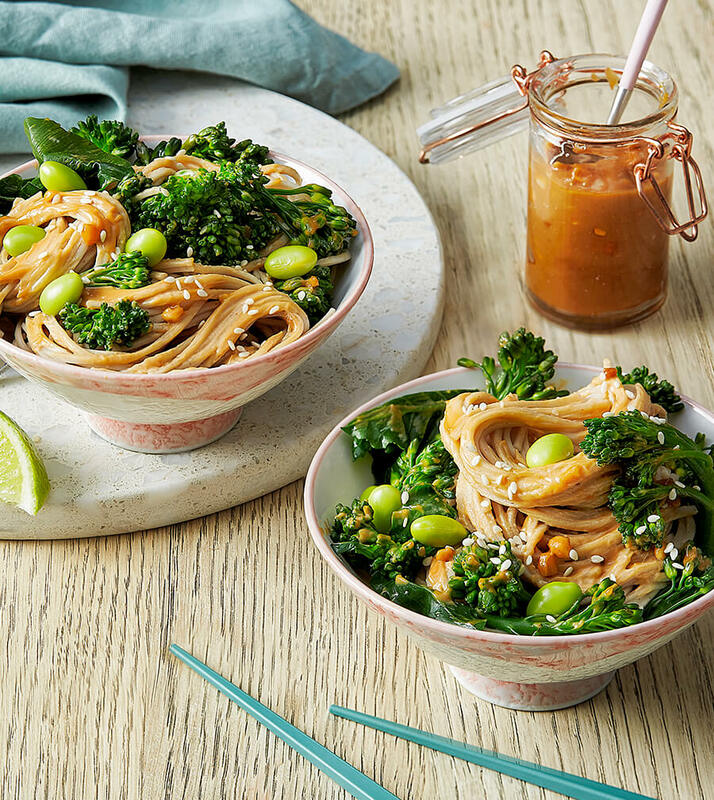 Full of flavour and easy to make, these noodles are perfect for a quick and healthy weeknight dinner. Place sauce ingredients in a bowl and whisk to combine. Set aside. Bring a large pot of water to the boil. Add soba noodles when water starts to bubble and cook according to the instructions on the packet. Warm olive oil in a pan and cook broccoli with a pinch of salt for 5 minutes or so. Drain the noodles and combine with the broccoli and sauce in the pan. Add a squeeze of lime. Divide into bowls and serve.